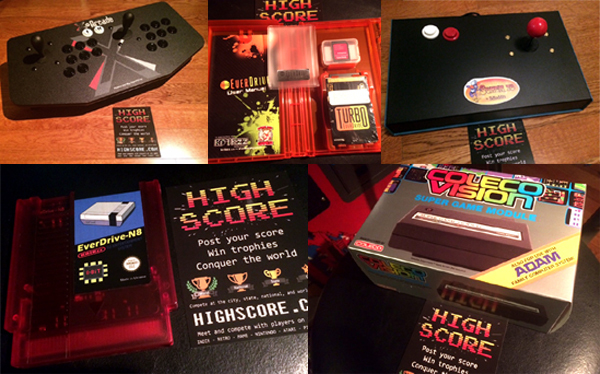 Our friends at HighScore.com are holding a new high score competition for several classic gaming systems, with great prizes for the winners! Categories include Atari consoles, ColecoVision, MAME, Classic Nintendo consoles, and PC Engine/TurboGrafx-16. Multiple gift certificates for the AtariAge Store are also up for grabs. High Score is a competitive gaming community, with multiple levels of competition. Gamers earn trophies for their accomplishments (including virtual patches for classic Activision games), which are displayed in a trophy case on their profile. The contest runs through August 28th, 2016. You can learn full details about the contest here. Good luck! Mmmmm, Blasteroids... Fun game!! I haven't played that game in forever.. While voting for others' scores on the TurboGrafx 16, I was surprised at how nice the graphics look. Looks like it's as good as some SNES games (if not better). My only experience with playing a Turbo Grafx was playing my cousin's console when I visited one summer as a kid. The only games I remember playing on it were Bonk's Revenge and some wrestling game with a wrestler named Spitfire Spike or something like that. The TurboGrafx-16 really is a great system.